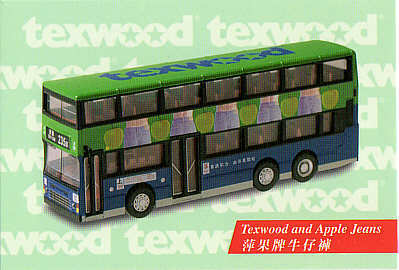 The model - this model carries all-over advertising for Texwood and Apple Jeans. 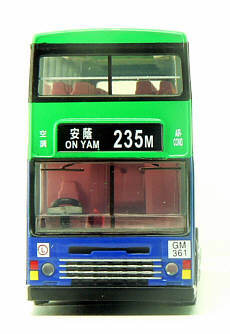 The glazing correctly represents that of the prototype. 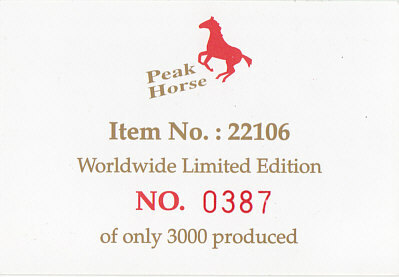 The limited edition certificate is of the credit card type. Also included is a postcard of GR4112 in advertising livery dated 1999. 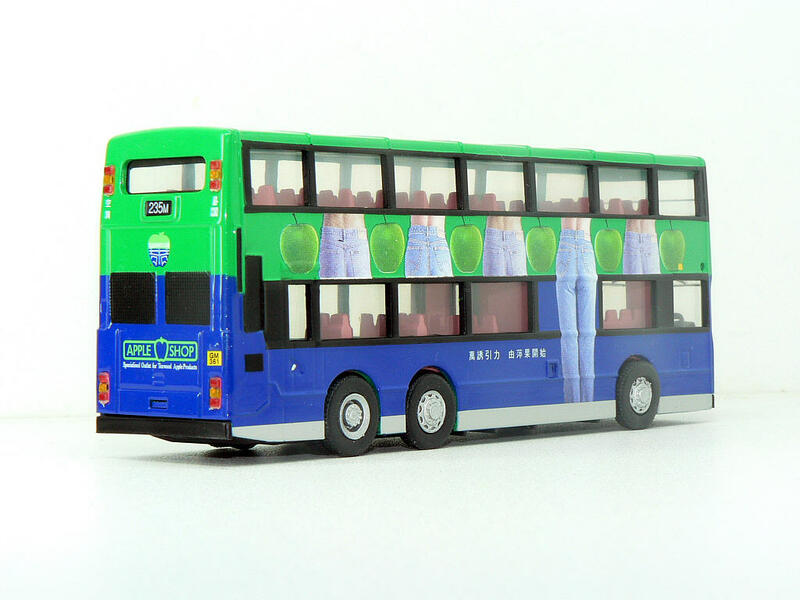 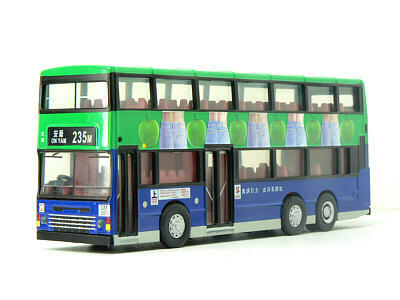 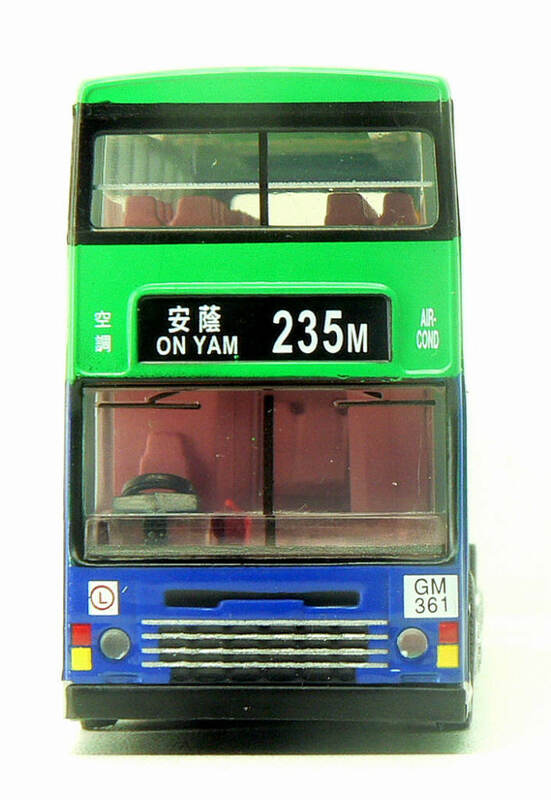 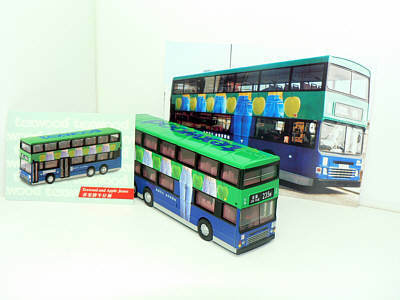 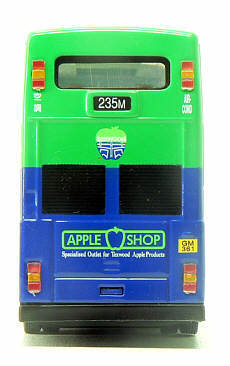 Included with the model are wing mirrors (for the owner to fit) two spare tyres and a bus stop. 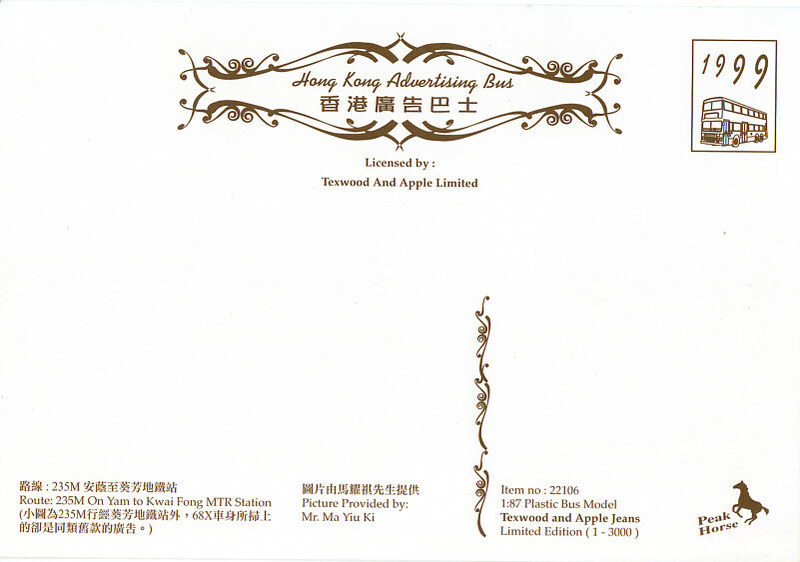 It comes it the standard green Hong Kong Wonders packaging. 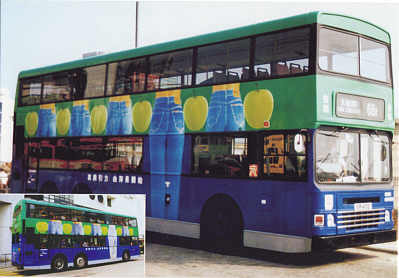 The bus - AD205 entered service in July 1995, being one of a class of 360 such vehicles introduced between 1991 and 1997.